This free woodworking plans list features a collection of chest projects for building various blanket boxes, like storage and blanket chests. They can also be used for Toy Boxes and Trunks. For your home or use exterior grade lumber for a storage tool chest in your garden. For workshop and carpenters tool chests, see the separate category. Any moderately skilled do-it-yourselfer can build form these woodworking plans. The woodworking information found on these sites range in quantity and quality. 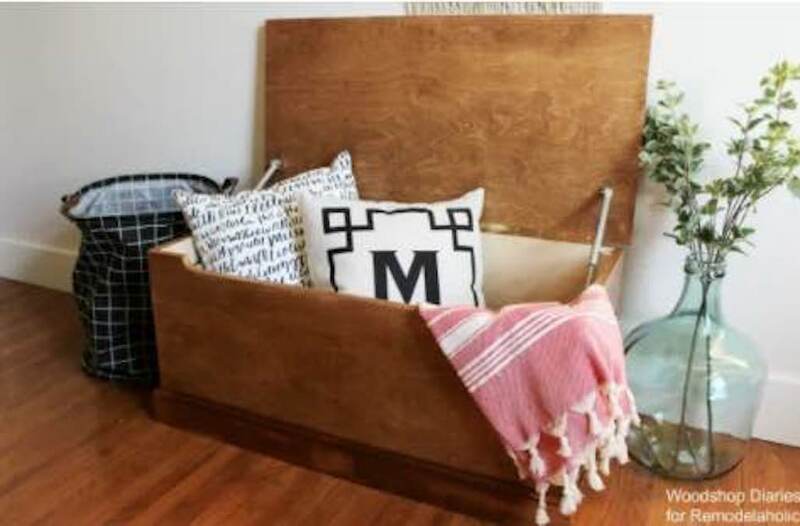 Build this rustic cedar blanket chest using the free downloadable woodworking plans at the link. Follow along at the link and download the free plans to build this blanket, storage and toy chest. At the link you can download the project cut list and follow along with the step-by-step instructions to build this storage chest. Build this beautiful cedar chest using these free plans which include materials list as well as step-by-step instructions. Panelled Trunk free building plan. Build this panelled trunk or chest using these free woodworking plans. Makes a great place for extra storage.